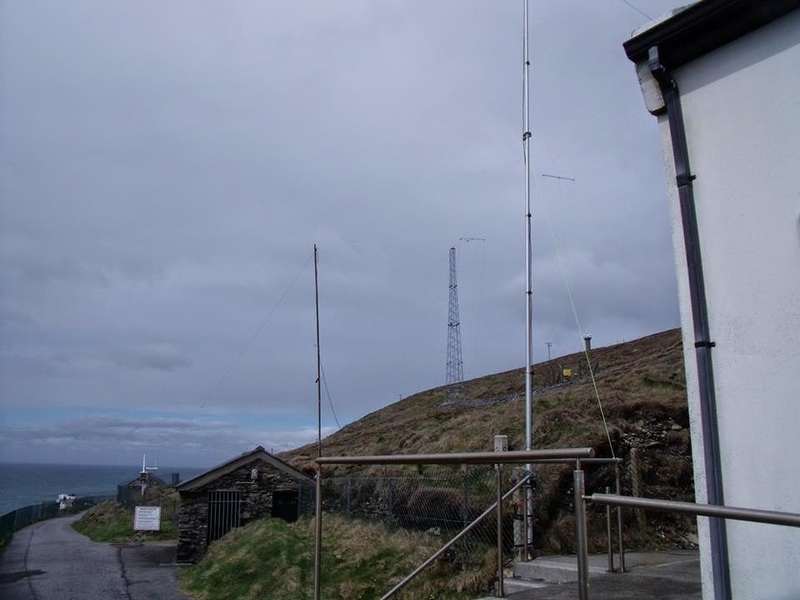 It has been 2 days since operating EI0IMD at Mizen Head with the group. Since coming home I have been tired, but it was all fun and interesting. To start off our trip My Dad and I visited Pat EI2GHB and had a cup of tea shortly before heading on our journey. We set off around 3:00pm and arrived at Mizen roughly around 5:00pm and to my surprise the weather was terrible. It was lashing rain with gale force winds and quite cold also. We kicked off maybe an hour or so before Marconi Day begun just testing antennas and securing a frequency for when 00:00 hit. On Saturday the whether was better still quite windy but varying between sunny and cloudy which was an improvement from the day previous. During all of Saturday we worked, switching between operators and just having a good laugh. 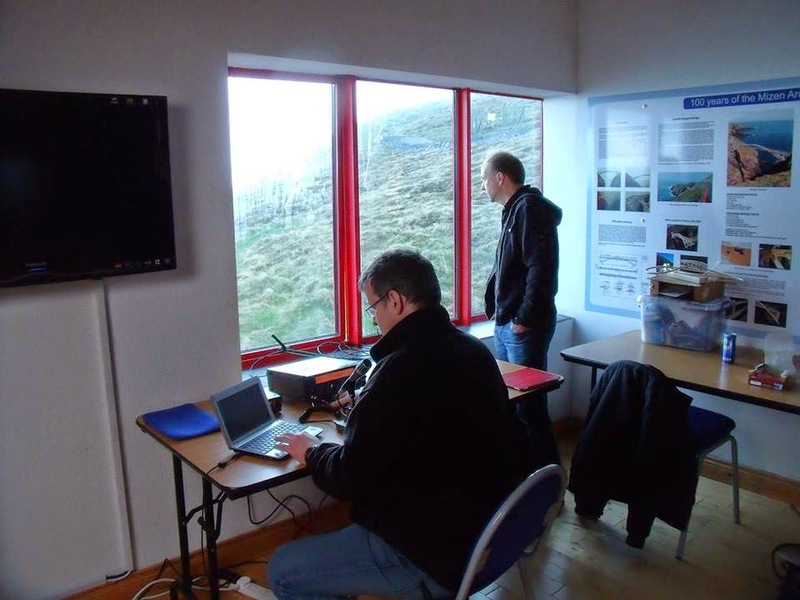 We had two stations on the air, one on 40m in the upstairs of the Visitors Centre and a second station downstairs in a private room operating various bands. This was my first Mizen while being licensed and I enjoyed every minute of it. We finished the activation with a good amount of contacts and it was all around good fun. I really enjoyed this and I can't wait until next year. Not my night at all had a great evening working 20m DX only to discover after 3hrs work, my logs "Clock" wasn't working correctly! Hopefully some of those guys will use eqsl or hrd and I can find the times to update my log properly. If you worked me and the times are wrong please reject and add the time to "comments" so I can clean up this logbook mess. What a weekend its been!. I took part in the CQ WPX Contest from Friday (00:00) UTC until Sunday (00:00) and to be honest I loved every minute of it. This was my first contest with my Callsign and I think I did quite good :). My entered category was 20m LP NA Rookie. 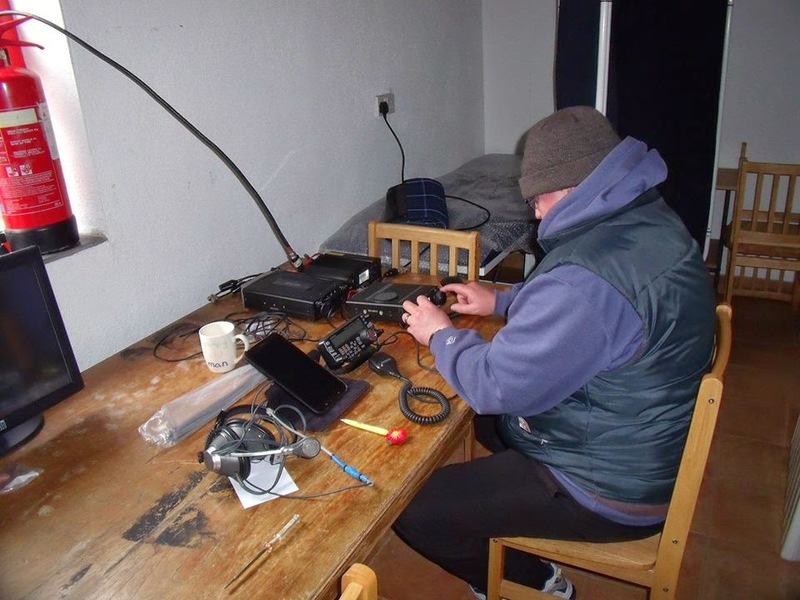 I managed 600 QSO's with a score of 314,000 and I worked roughly 12 hours out of the two days, since my Mam and Dad were also taking part in the contest. Our family score is roughly 1.3 Million on 20m only so after the contest my jaw was a bit stiff from talking so much Hi Hi :) . I also made a nice couple of new DXCC's , by working Indonesia, Australia, China and Alaska. 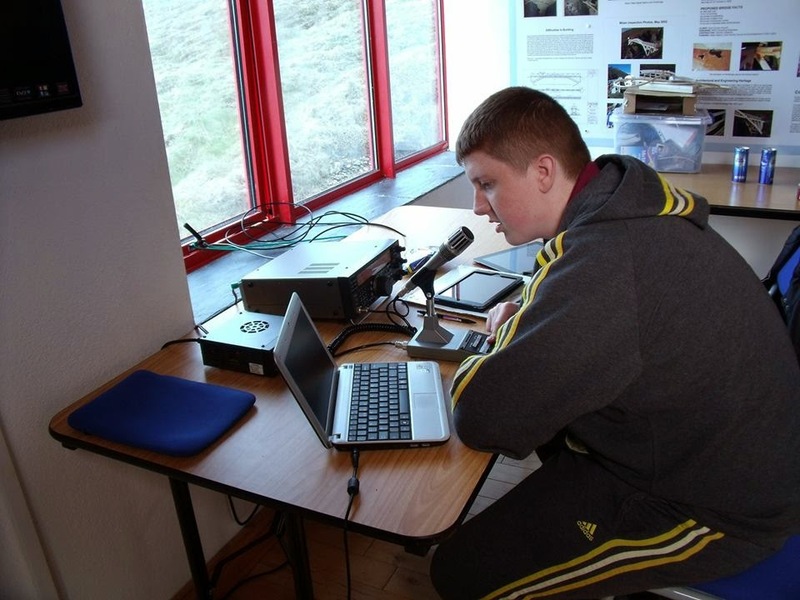 I worked a good few US Stations during the contest and so far have confirmed more States so I now have 38 states out of 50 and also I have now 95 DXCC's worked since the contest with nearly half confirmed so I'm pleased all round. DXCC certificate soon I'm sure Hi Hi, 73 Guys. My new country count stands at 88 DXCCs and climbing towards my Century Award hopefully my logs will now confirmed. Had a great day yesterday, I went to the IRTS rally & AGM hosted by the Galway VHF Group at the Galway Bay Hotel. I had to set off about 8.15am which is too early for me. I only started to wake up at a pitstop in Galway when I munched into a breakfast roll. The rally kicked off about 11am, and I met my good friend, Ger EI4GXB. There were already a lot of people there hoping to get their hands on some bargains, and I had a good nosey around to see what was was on offer. Lots of bring and buys bargains to be had and I hung around this table to keep my eyes on whatever was being brought in. Steve EI5DD did a great job of hosting the event, along with his other members, and keep guests informed of what was happening throughout the day. 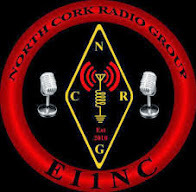 There was a great presentation at about 12pm where a group of Canadian hams will be attempting to make a transatlantic 2m contact with Ireland, this really peaked both my dad and my interest as we have a large 2m beam that is decorating our back garden wall at present and hasnt been used. After this I made a new friend, the hotel penguin!! Seamus, the IRTS president, even gave both my brother and I the chance to wear his chain of office which was really cool!! The AGM began at 2pm and this was all new to me, I didnt know what to expect as I had never been to one. It was very informative and interesting. I was even more surprised when the award ceremony began and I got to see members being awarded cups and shields for their efforts relating to the hobby. My other friend, Anthony Murphy EI2KC, was awarded the Sheila Piper Cup, which was a nice present for him as he was 40 yesterday also! But to my extreme surprise my name was called as the winner of the Arup Cup! I was so shocked I didnt know what to do, even whether or not to get up, so I sat back down until Ger had to call me to come up. Apparently I was awarded this for putting up with Ger in YOTA (HI). The Arup family in memory of their son EI3M who died at an early age donated this cup to the Society. The cup is beautifully crafted in Danish silver and is awarded for exceptional service to the Society or to Amateur Radio by an amateur licensed for a period of five years or less. It was first awarded in 1948. My mother EI9GSB was also elected as a committee member for the coming year and is the first ever female to sit on the committee since its formation, 82 years ago!! Its been a week or so now since I've last posted a blog. Since my last blog I made one new DXCC , Montenegro :) so I now have 86 DXCC'S with 35 confirmed. 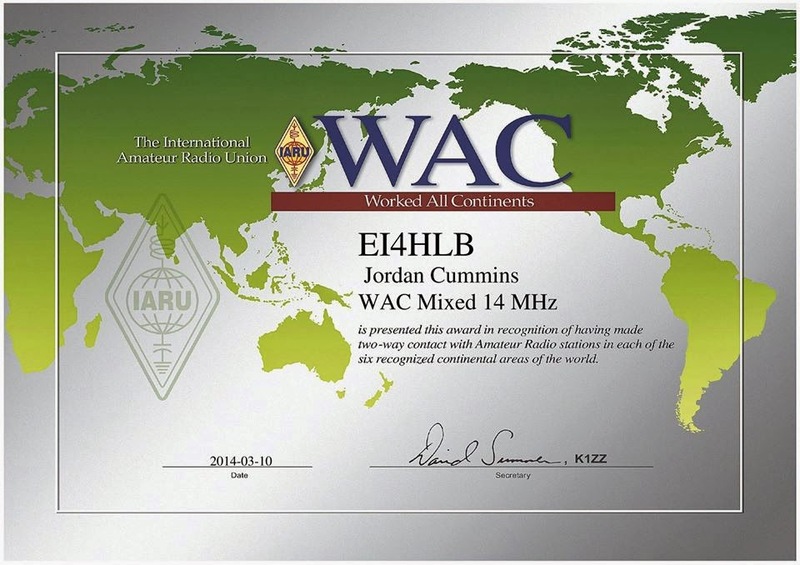 Also two weeks ago I achieved my WAC (Worked All Continents) Award for 20m and on Tuesday of this week I received an email with my Certificate in PDF format so I'm quite pleased with that also :) .